Fig. 2. 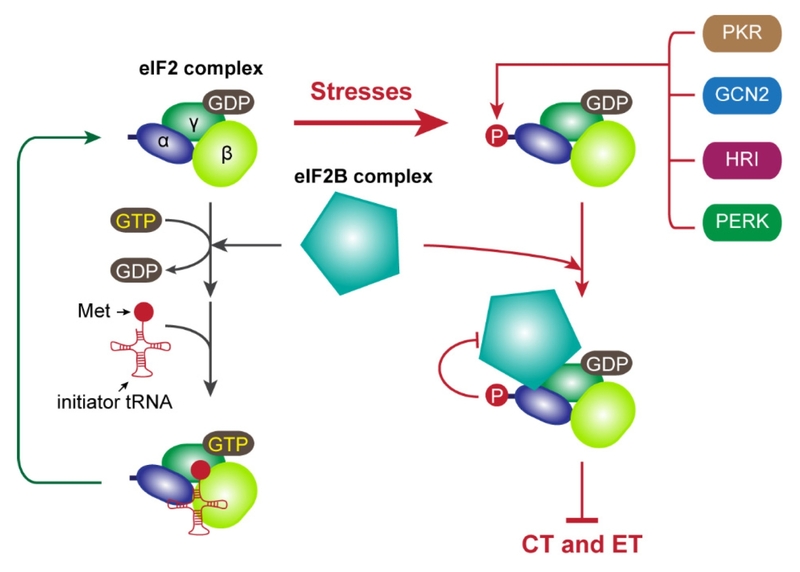 Translational control mediated by eIF2α phosphorylation under stress conditions. The details are described in the text.